It is really good trick for Hardware related people mostly. As we all know that Windows XP era has gone probably but in Asia Pacific it is still alive and now a days mostly people prefer Windows 7 and above. But among Microsoft's Operating System, Windows 7 has got much more lovers currently. As Windows XP will be corrupted very shortly after being attacked by Viruses besides, Windows 7 will survive long enough even being attacked by Viruses. But this article isn't about Windows 7, but in somehow it will favour it. 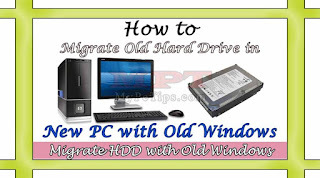 Everyone has lot's of necessary and important programs in their Operating System and many have bunch of programs and software installed in Windows and suddenly time to time we need to upgrade our Computer with latest hardware and sometime we exchange out PC with newer one and we hardly do not want to lose our installed program and want same Windows with all installed programs in our new PC. So there is a small and easy method and built-in tool by Microsoft and I am sure many of among us don't know about it. 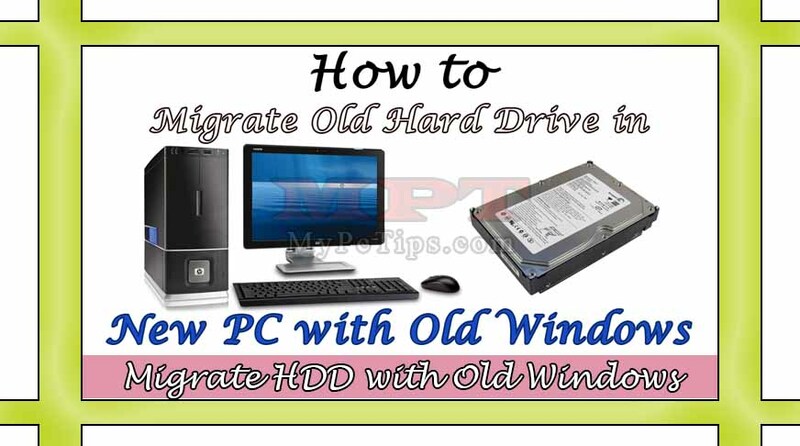 It means now you can migrate and attach your Old Hard Drive with OS in your New PC without installing Windows and all Programs because you will get your old OS in your New PC with this method. This method doesn't require any Windows Disk or USB Drive. The post will let you to understand the use of System Preparation Built-in Tool by Microsoft. Use "WINKEY + R" buttons from Keyboard. Type "SYSPREP" in Run then Press "OK" button. Double Click on "SYSPREP" application file to Launch it. Leave System Cleanup Action as "ENTER SYSTEM OUT-OF-BOX EXPERIENCE (OOBE)"
Select Shutdown Options as "SHUTDOWN" from drop list. Finally Click on "OK" and wait for few minutes then your PC will be shutdown automatically.